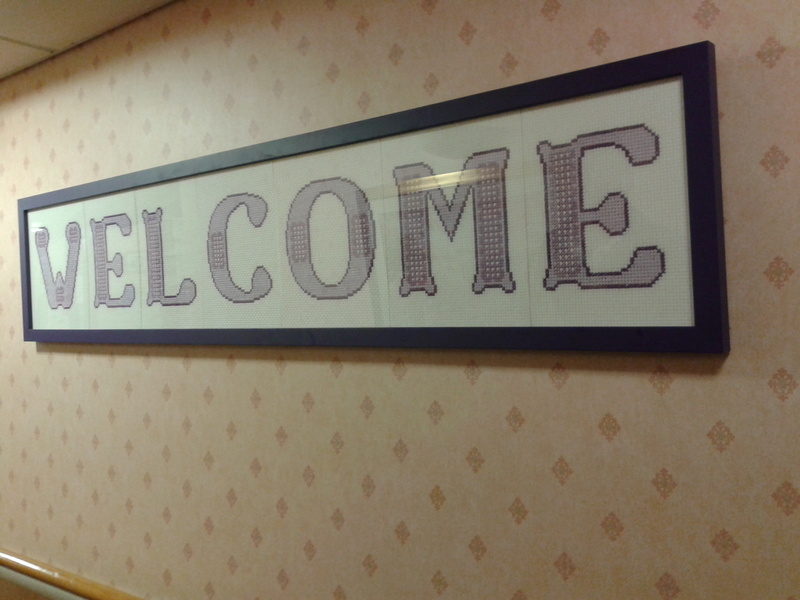 Residents at Bield’s Gillie Court have been busy stitching a giant welcome sign to greet visitors to their care home and sheltered housing development. The huge six foot by fifteen inch sign took the stitching group just over three months of hard work to complete and was revealed at a small ceremony put on by staff. 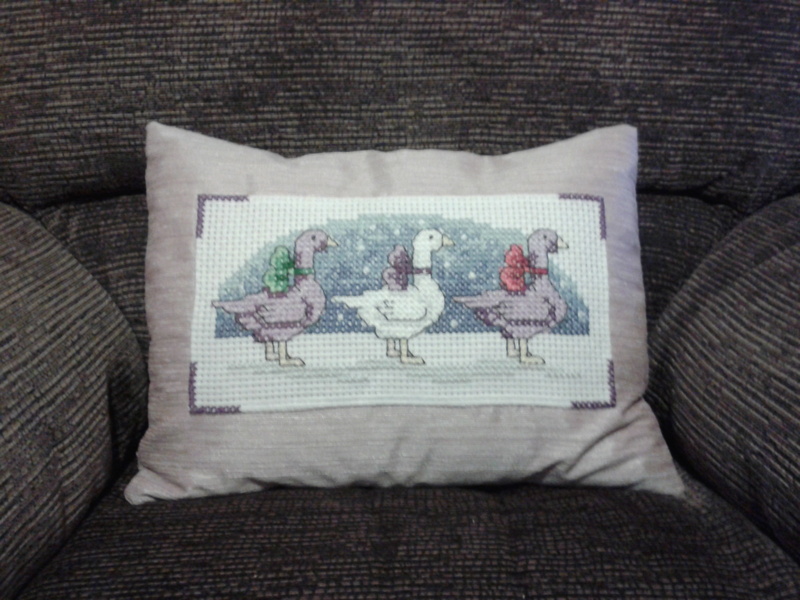 The group, which initially started two years ago to encourage members to stitch small items for their own rooms, took on the task to brighten the welcome for visitors to the Dunfermline development. Brenda Robertson, Resource Manager at Gillie Court said: “The stitching group has been a great success over the past two years and it continues to grow with more members joining in. The group have now taken on the task of brightening up the rather dreary notice board in the complex. Social Activities Volunteer, Linda Armstrong, who organises the group along with Sally Mackenzie and Nicky Webb, said: “We are looking to add a bit of colour to the area by stitching ‘Care House Notice Board’ in bright colours. “We’ve also been busy making Scottish themed pictures to go around the board, which are looking very impressive. “There will also be a rotation on the notice board, with various items and pictures stitched to the theme of Halloween, Christmas and so forth. “We are very close to finishing the notice board and it’s looking great. Bield – a registered charity in their 41st year of business – has grown from humble beginnings, opening its first housing development in Bo’ness to become a major supplier of a wide range of housing and services for around 20,000 older people across 22 local authorities.